Forget cutting and weeding! Get creative with HDFrost custom printed decorative window film. Using a unique high definition print process to replicate the effect of traditional frost vinyls and films. The days of cutting and weeding out patterns on etch, sandblasted, dusted crystal and frost window films and vinyls have been relegated to the past, thanks to an innovative new product release from HDClear – the global decorative window film market leaders. HDFrost uses a unique high definition printing process that exploits a combination of light gray and white inks to replicate the effect of frost. Any image, pattern or gradient, no matter how complicated or intricate, can be printed onto optically clear polyester window film without the need for any post print ‘cutting/weeding’ or the use of transfer tape. In addition to the time and cost savings, HDClear says the product has numerous other advantages over traditional vinyl solutions. Patterns and graphics can be seamless for a better finish and have no edges that might attract picking or other damage. The manufacturer says the range also blocks 99% of all incoming UV light and reduces solar energy by up to16%. Following months of testing and refining, the HDClear team has also been working to improve not only the quality of the printed image but also the color density and opacity of its finished printed decorative window film. As a result, the warranty on its products has been extended to 10 years. With many traditional vinyl solutions providing a seven-year warranty, this HDClear says this provides it with a further differentiator in a growing market. 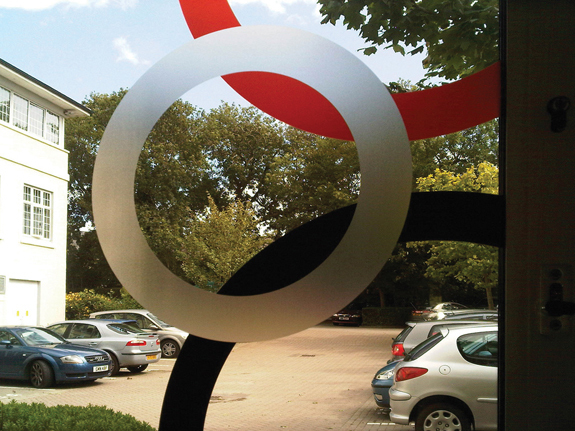 Robert Davis says: “We have always strived to be at the cutting edge of the decorative window film industry. This latest development has enabled us to provide our customers with an unrivalled warranty that reflects our confidence in the quality of our product.